This is our 9ct white gold "court" shaped wedding band. It is considered to be light weight and has a 4mm width. All of our wedding bands are hallmarked at the Birmingham Assay Office. Box included within purchase of this item. 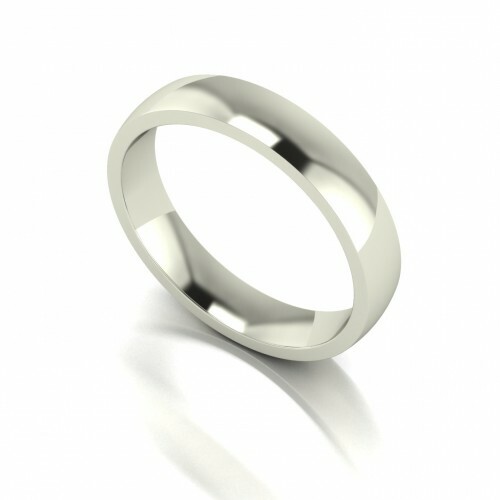 9ct White Gold 5mm Light Weight Flat Shape Wedding Band.